You don’t need to binge drink like a college student to get a DUI in Lancaster County. 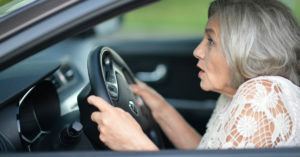 If you’re an older American, consuming a single glass of wine or even just taking your medications can impair driving abilities. For many of us, medications become part of the daily routine as we age. However, both prescription and over-the-counter medications create the risk for what’s sometimes called drugged driving. Depending on the drug, side effects might include sleepiness, blurred vision, slowed reaction time, inability to focus, dizziness, and fainting. The risk of unintentional impairment can be especially high when you first start taking a drug and may still be unaware of how it will affect you. In addition, taking multiple medications can raise the risk of interactions that amplify side effects or create new ones. Roadwise RX is a confidential, free tool from the AAA Foundation for Traffic Safety. Enter the medications you take into the field, and it will provide feedback on how they could potentially impact the ability to drive safely. Roadwise RX is for general information purposes only. Always speak with your physician for specific guidance regarding how a medication (or combination of them) will affect your driving. Consuming alcohol while on medications intensifies the risk for driving while intoxicated. The alcohol-drug combo can lead to loss of coordination, dizziness, fainting, and abnormal behavior. In addition to creating potential drug interactions, alcohol consumption on its own raises the risk for impaired driving in seniors. During the aging process, the body experiences changes in the gastrointestinal tract as well as lower levels of body water, and, sometimes, loss of weight. As a result, the body doesn’t metabolize alcohol as efficiently as it did previously. It often takes less alcohol to reach intoxication. Don’t stop taking medication unless directed by your physician. Take medication at the prescribed doses. Always read the leaflet describing the drug’s side effects. Don’t drink alcohol while taking medication without first consulting your doctor about potential interactions. If a medication affects your ability to drive, speak with your doctor about possible alternatives that don’t have the same side effects. When in doubt about your impairment level, use a designated driver, public transportation, or a car service, such as Uber or a taxi. Driving while impaired by alcohol or drugs is dangerous, but it will also get you into legal trouble. You can be charged with DUI in Lancaster County if your driving is impaired—even if the medications are legally prescribed. But remember, you do not need to disclose your medications to the police. If you are a senior charged with a DUI related to medication or alcohol, work with an experienced attorney who has the expertise and resources to protect your rights. Mark Walmer has been practicing law in Lancaster County for nearly 30 years. He helps good people struggling through tough times, like battling a DUI charge.